This cannot stand! Packaging out of control. I ordered three boxes of tiny binder clips, along with other items. The binder clips lagged behind and rather than hold the entire order to come in one reasonably sized box, I got this large box, a catalog, and a bunch of plastic filler material. This is a tremendous waste. 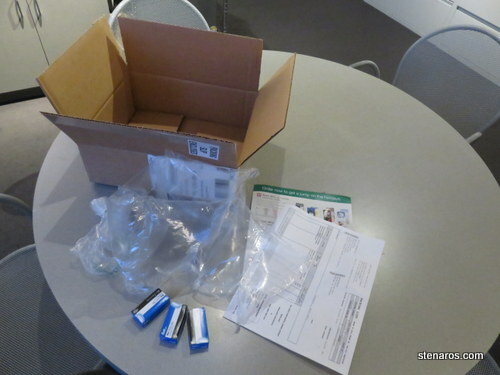 I’d like companies to be charged for over packaging in this manner. I’d like to be able to check a box indicating that my items don’t need to be in pristine shape. They just need to get to me. Posted on October 25, 2018 November 17, 2018 Categories All (-ish), To Occupy my TimeTags general grumblingLeave a comment on This cannot stand! Packaging out of control. My current building has two single stall bathrooms on each floor. (This is not really enough bathrooms for the number of people on our floor, but that is not the point of this post.) 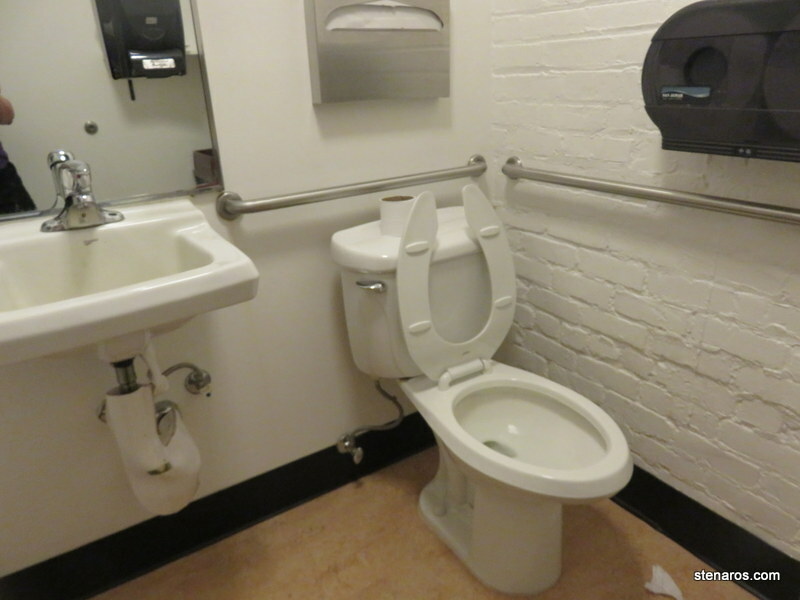 Let’s talk about some things I’ve seen in my 2.5 years of sharing single stall bathrooms with many people from many offices. It is my firm belief that in a single stall situation, the toilet seat should ALWAYS be returned to the down position. This is because 50% of the population always has the seat down, and the other 50% of the population sometimes has the seat down. With the always, plus the sometimes, that means the majority of the time, that seat is down. 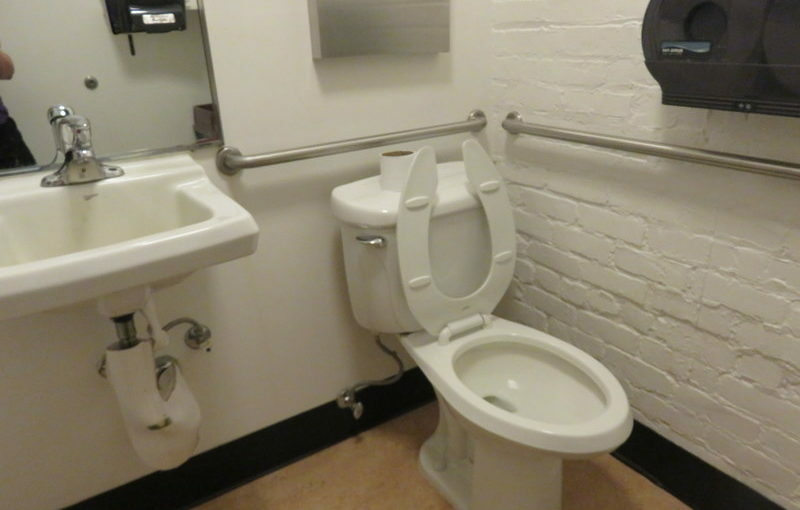 The 50% of the population that does not lift the seat should not be involved in lowering because someone didn’t return it to its proper position. This. Bits of toilet paper sitting next to the toilet. What is this? 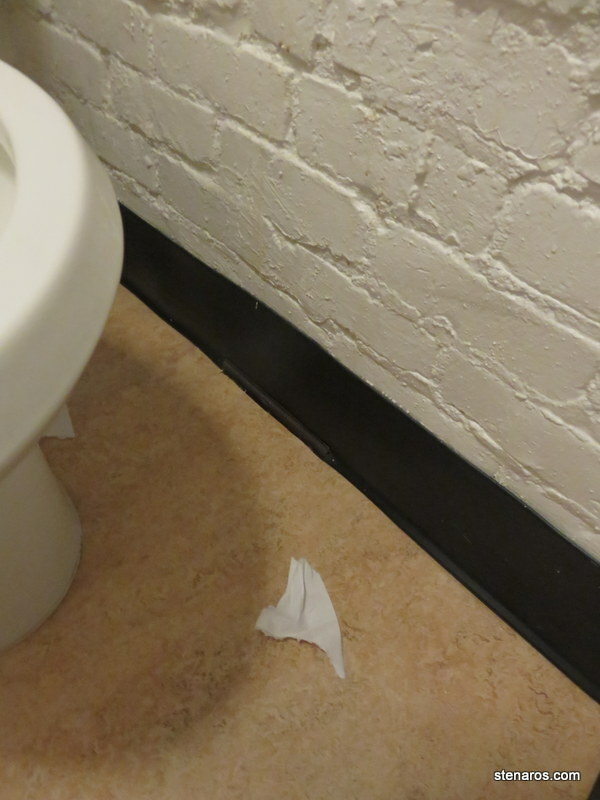 I understand that those toilet paper dispensers sometimes only dispense tiny bits of useless toilet paper, but why then is it dropped on the floor? The toilet bowl is right there. The person is probably sitting on it. Also, just out of view of this photo is a large trash can, yet another place to drop tiny pieces of useless toilet paper. The floor is not the receptacle for this item. What happens is that every time I use the bathroom, I pick up the 1-7 pieces of toilet paper on the ground and drop them in the bowl before doing my business. 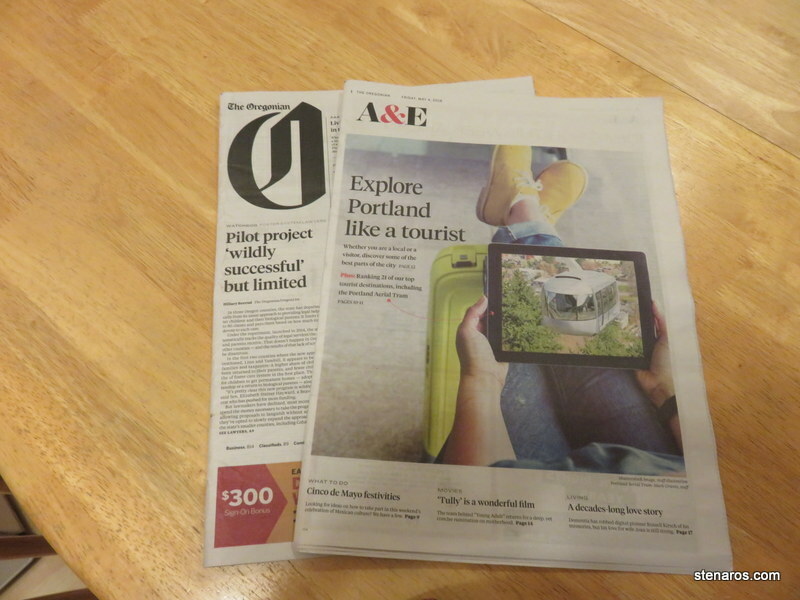 And I marvel yet again as to why people think it’s okay to drop the paper on the ground. But the door is closed now? And it’s 10 a.m.? 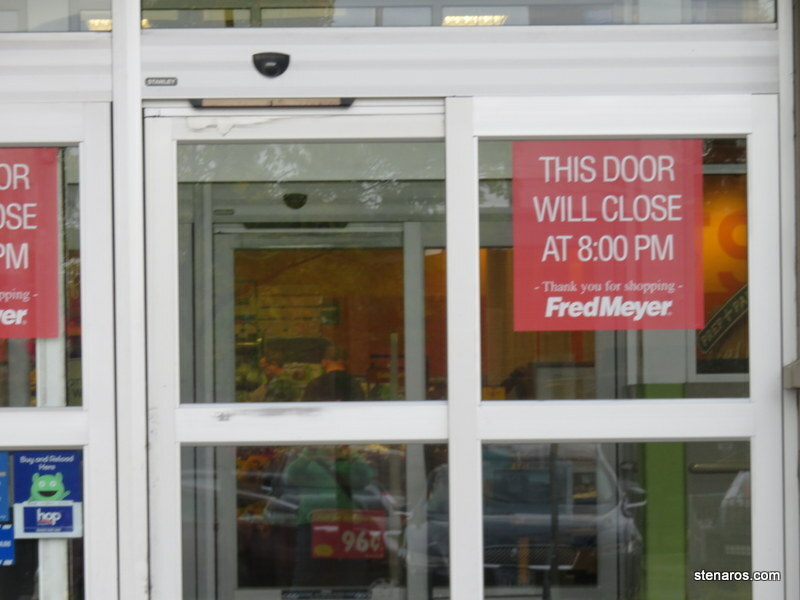 The Fred Meyer near me added a big red sign to it’s front door. My first time encountering it, I slowed, confused at its message. I’m not sure who is in charge of getting such a sign made, but I wish they would have slept on the syntax before approving. Because the door is closed for much of the day. 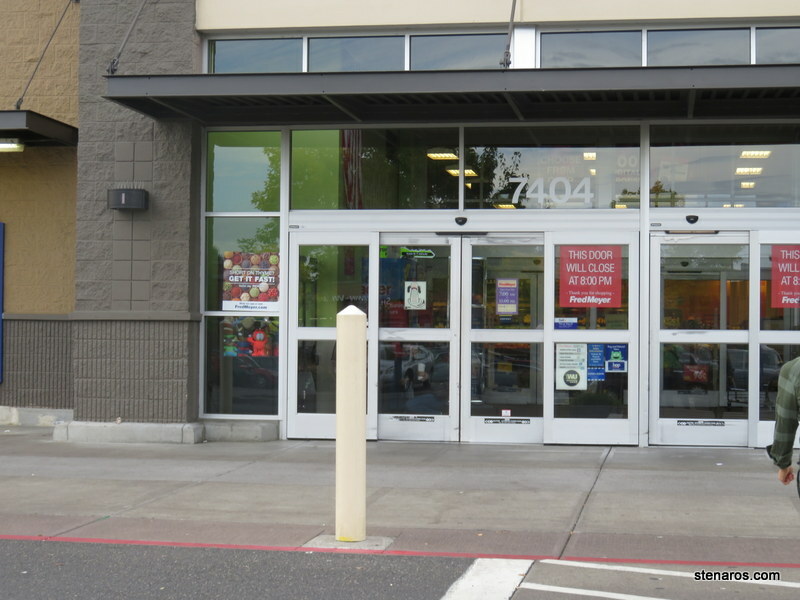 It’s an automatic door that opens when people walk up to it. 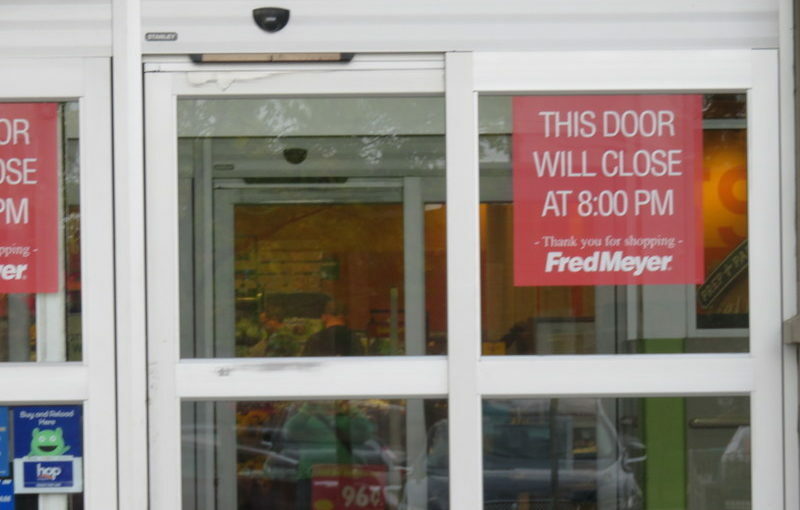 It won’t just close at 8:00 PM, it will close repeatedly. And open too. The word I think the person was looking for was “lock” rather than “close.” The message is that you will not be able to use this entrance between eight and eleven p.m. So it’s not just that the door is closed, it’s that it will be locked. And now that sign bugs me every single time I visit the store. Posted on September 15, 2018 October 4, 2018 Categories All (-ish), To Occupy my TimeTags general grumbling1 Comment on But the door is closed now? And it’s 10 a.m.? 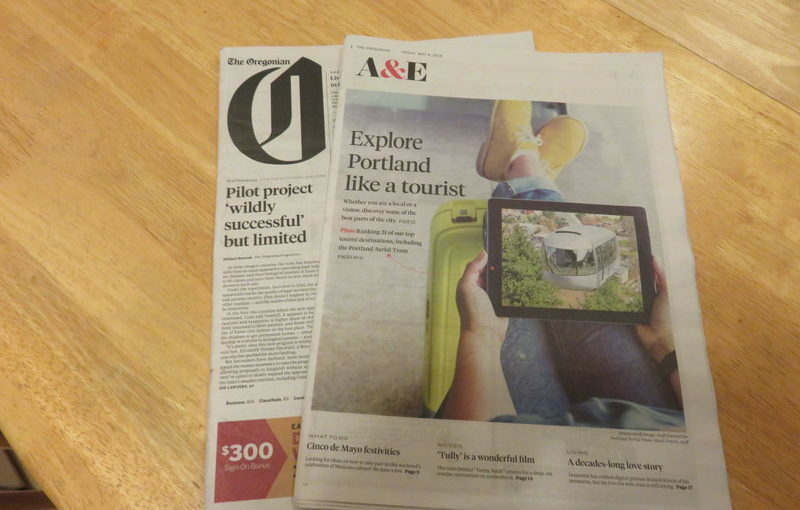 I went to do my usual Friday morning separation of the Oregonian (front page, A&E, Living, discard the Sports page) and found the Living section was missing. They have integrated it into the A&E. And so I go from 3 sections on Friday to two. 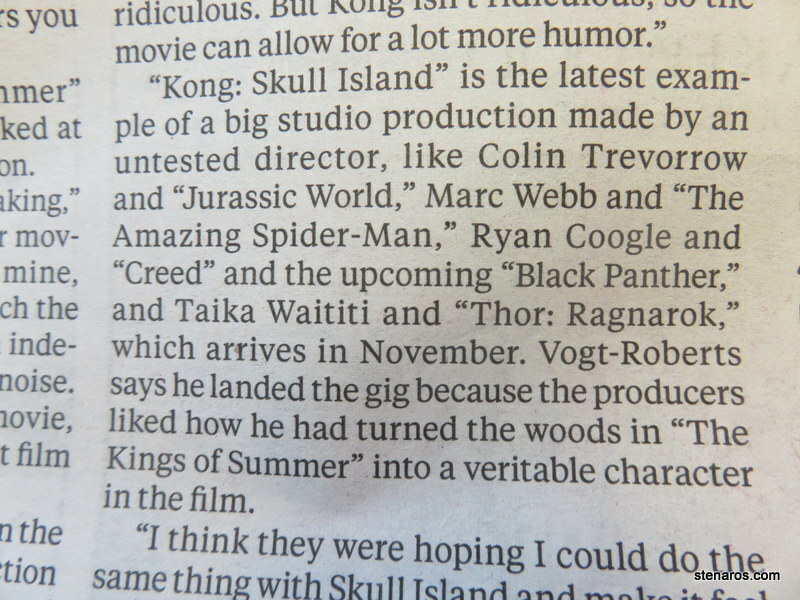 This is from a review about the new King Kong movie, directed by Jordan Vogt-Roberts. He directed Kings of Summer, which I adored. Here’s what my #52womeninfilm project taught me. Women make movies all the time. And no one sees them. And they don’t get the choice of their next picture being a big film. 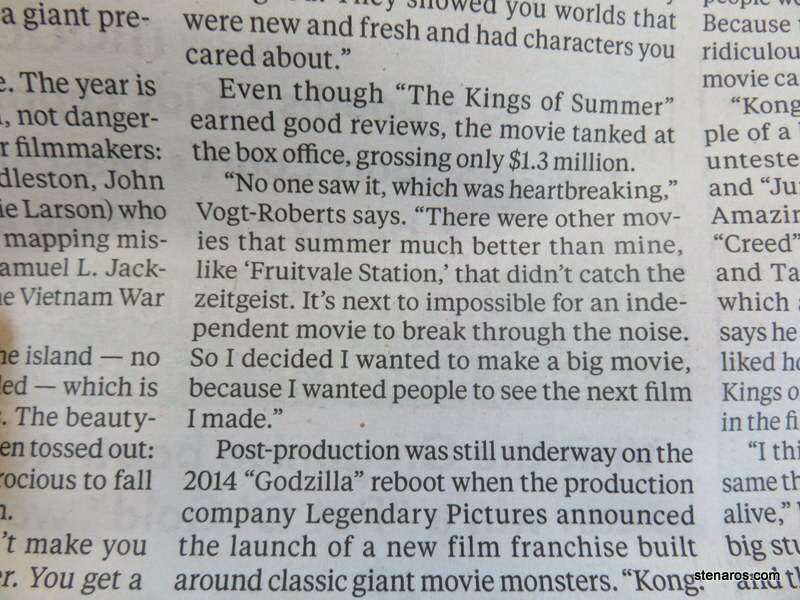 I’m happy for Vogt-Roberts being able to make a big film for his next movie. But I can’t help thinking about all the women directors who would also like their next movie to be a big film and don’t get that opportunity. Then later, this list of “untested” directors. What do they have in common? And I would also venture to guess that the producers (four male, one female) liked him because he reminded them a little of themselves. Which is why Hollywood is the way it is. 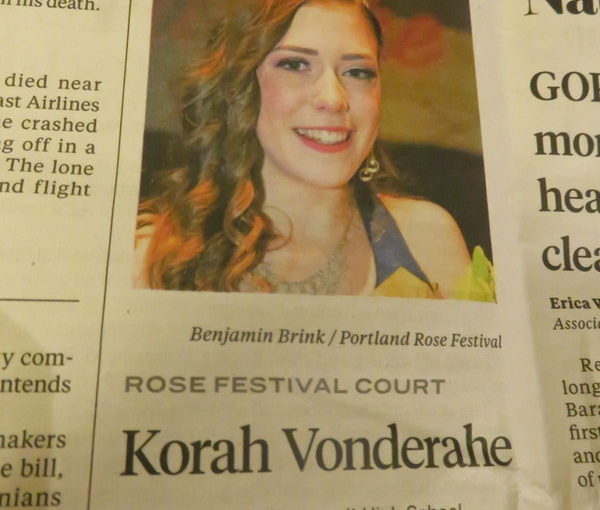 Whereas in previous years we’ve gotten a picture of the Rose Festival Princess contenders for each school, now we only get a picture of the winning princess. I can’t say I’m a fan. I liked to see the finalists from each school. Now they are a list of names. 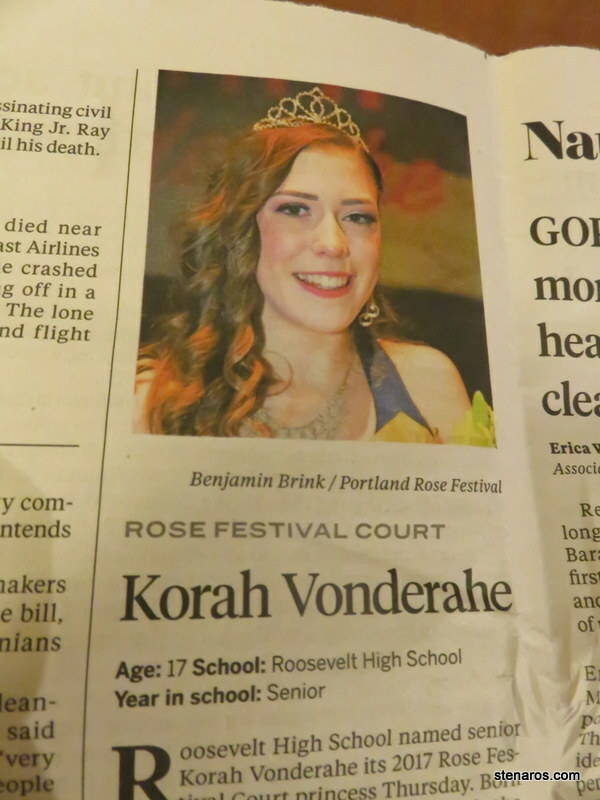 And yes, complicated feminist feelings re: Princesses, but I’m someone who enjoys the Miss America Pageant, so there’s that. At least with this, it’s not a beauty contest, but is based on accomplishments. Plus they get scholarships, a mentorship and free clothes. My irrational anger at a clothing company. 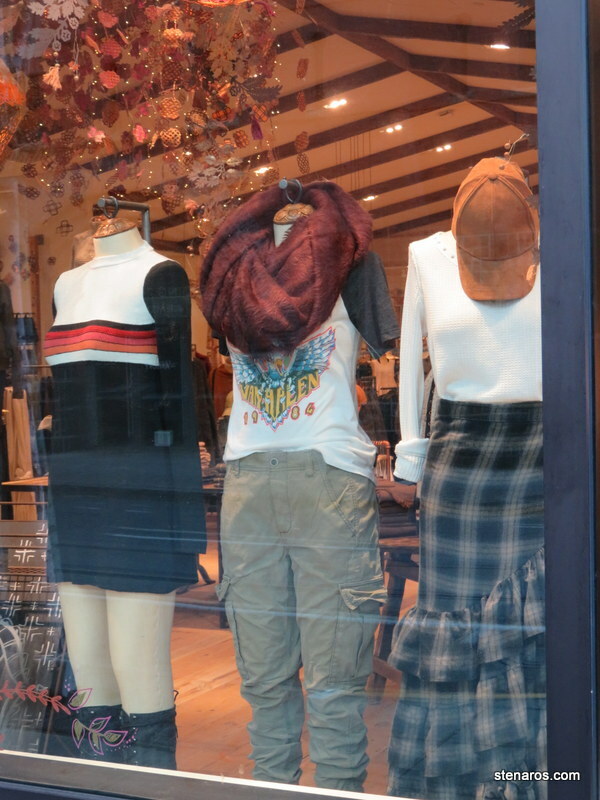 I walk by the Free People clothing store regularly and look at their displays with a kind of anthropological interest. These are not clothes designed for me, nor am I meant to wear them. I find some of them kind of cute (the dress on the left, the skirt on the right) and most of them puzzling. 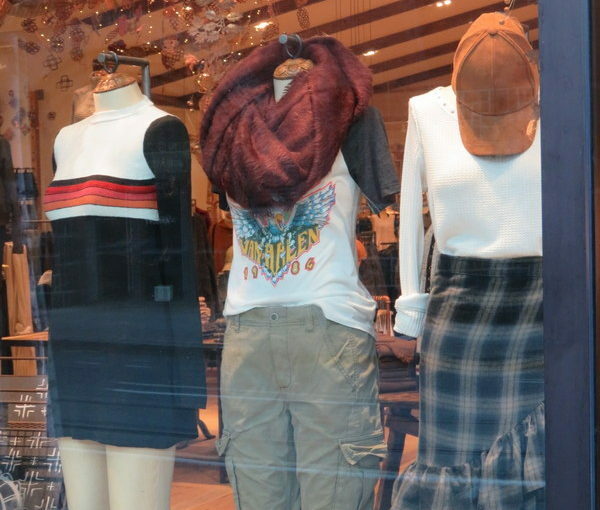 But today I saw the Van Halen 1984 shirt and stopped short. Why are they marketing a shirt for a band consisting of members who are too old to be this demographic’s fathers? 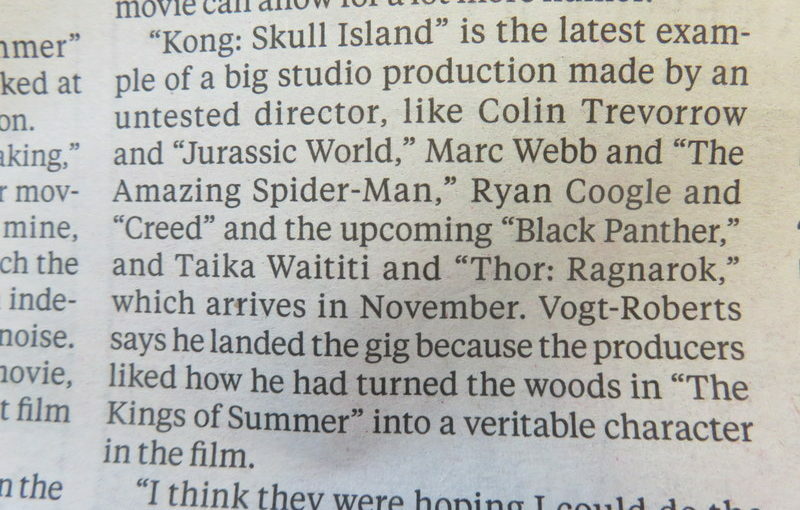 Is there some Van Halen resurgence among the young set I don’t know about? (Possibly.) I suspect they just thought the logo looked cool and made it into a shirt. Posted on September 29, 2016 March 23, 2017 Categories All (-ish), To Occupy my TimeTags general grumblingLeave a comment on My irrational anger at a clothing company. And who might be standing behind you? I’m waiting for Matt at the gate. 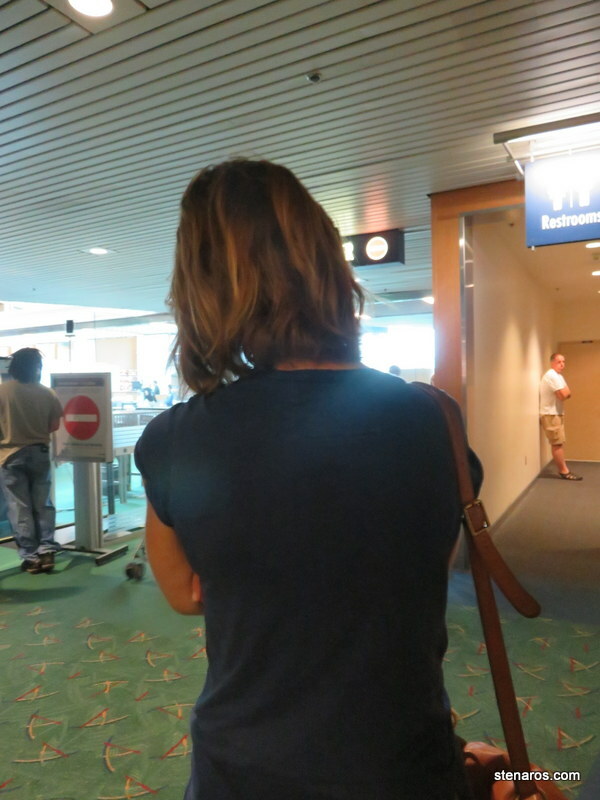 I pick out a good spot where I can see people coming through the gate and where I’m not standing in front of anyone. I know not to sit in the chairs, because my view will be blocked for sure. So my place along the wall is working well for me. A woman comes and stands along the wall next to me. All is fine. And then she stands in front of me. Not a little bit in front of me. 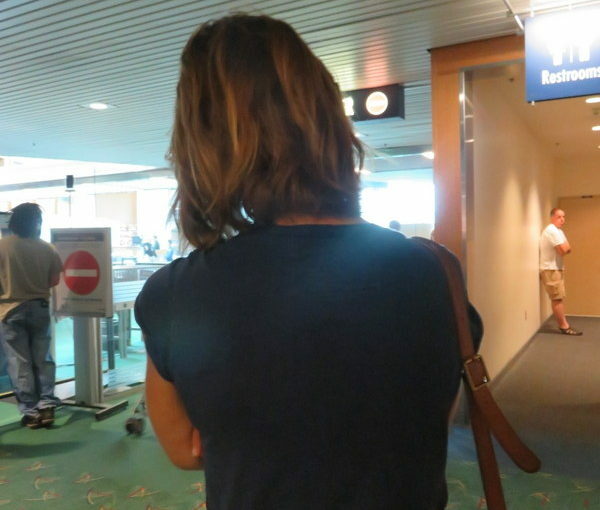 The kind of in front of me where she blocks my entire view of the gate. The kind of in front of me where Matt was past me before he noticed me waving. I’m sure she was excited to see whoever she was waiting for, but so was I. And I was there first. Posted on July 3, 2016 July 9, 2016 Categories All (-ish), To Occupy my TimeTags general grumbling4 Comments on And who might be standing behind you? Society says it’s okay for this guy to have this bumper sticker. Let us bypass the obvious, that this guy is a jerk and not worth anyone’s time. 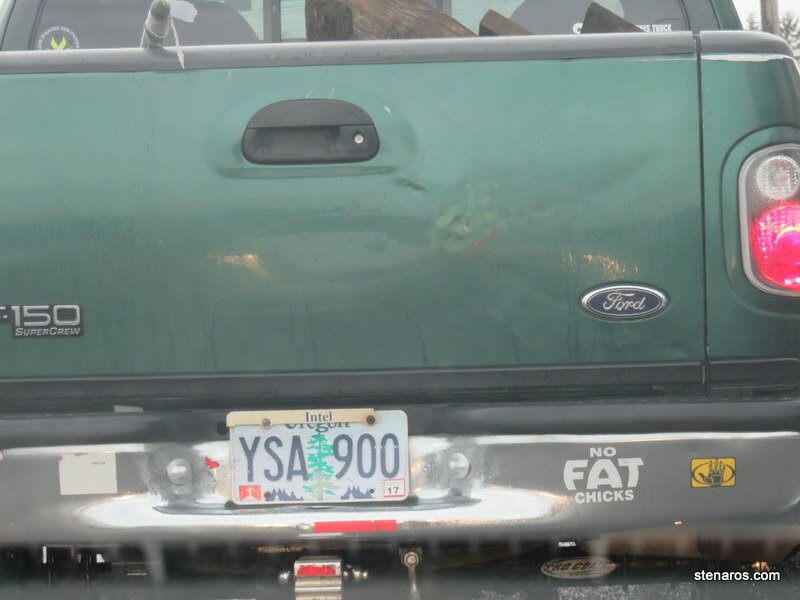 Let us move on to the implications of a man who is not called out for putting this bumper sticker on his truck. 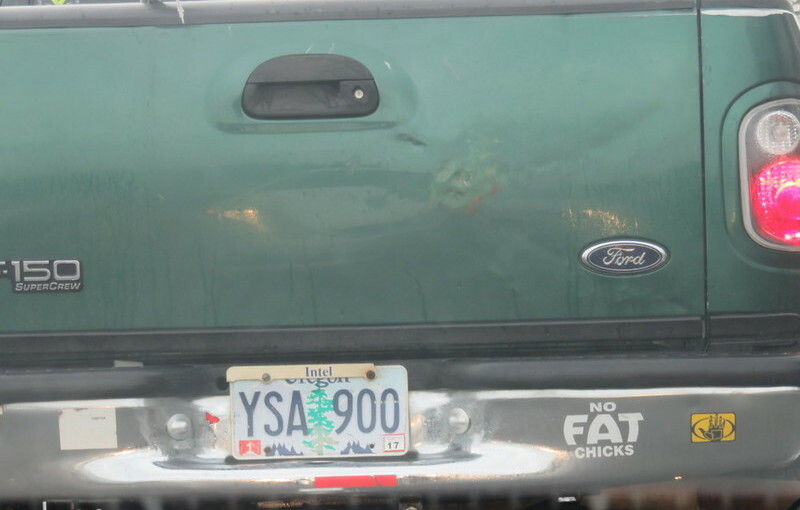 If you replace “fat chicks” with any other type of group, this becomes a bumper sticker that isn’t okay. Why hasn’t there been a confrontation, a general hue and cry? Posted on January 23, 2016 February 3, 2016 Categories To Occupy my TimeTags general discussion, general grumbling2 Comments on Society says it’s okay for this guy to have this bumper sticker. 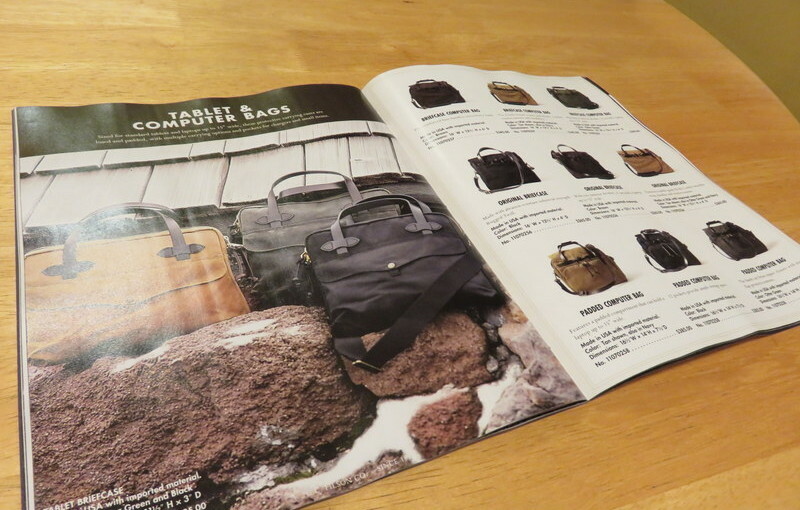 This catalog makes me want to gnash my teeth. I have no idea how I got on this mailing list, because we are not a match. C.C. 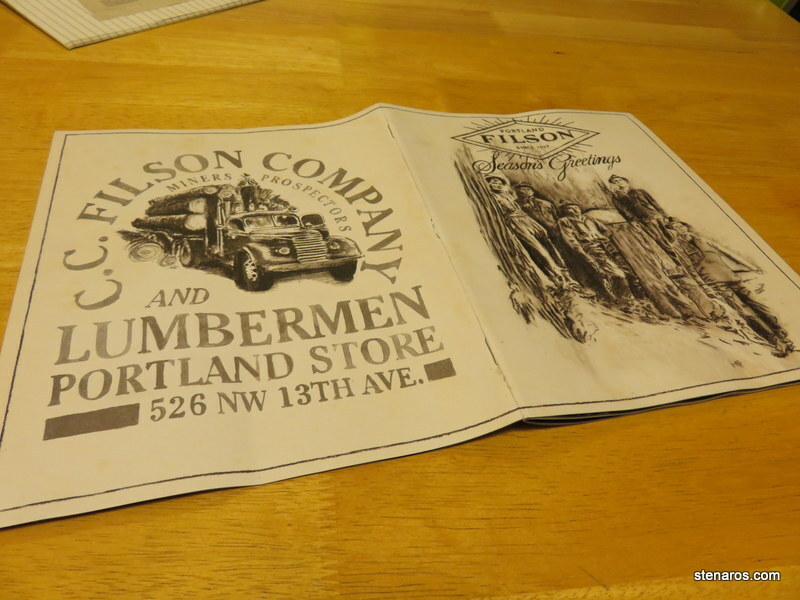 Filson Co. may have got their start outfitting miners, prospectors and lumbermen in Seattle, but they have strayed far from their roots. $300 for a flannel shirt? You know where the last few miners, prospectors and lumbermen buy their shirts? Walmart. Because that’s what they can afford. You know who buys $300 flannel shirts? Software engineers who think they are the same ilk as miners, prospectors and lumbermen. And they aren’t. So don’t pretend they are. 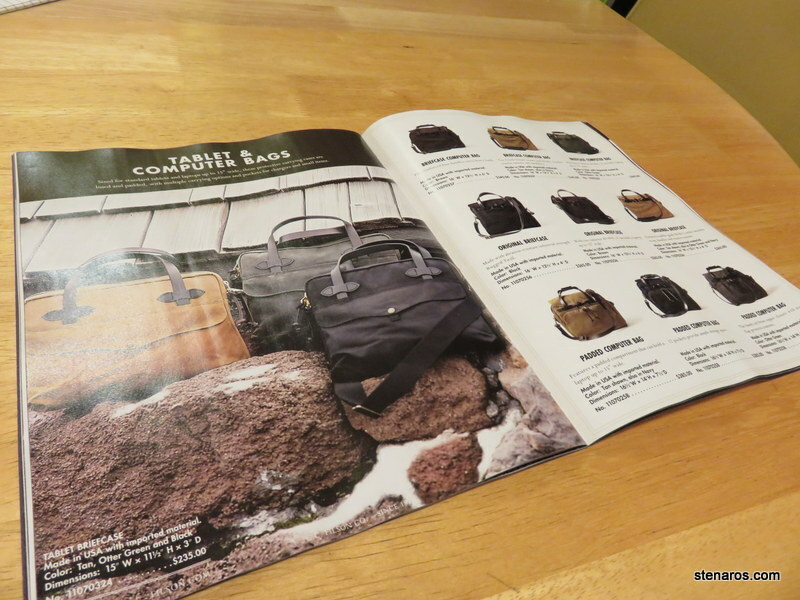 And every modern outdoorsman needs a bag for his tablet and computer. Grrrr. Posted on December 6, 2015 February 3, 2016 Categories All (-ish), To Occupy my TimeTags general grumbling1 Comment on This catalog makes me want to gnash my teeth.